With the kids off at work and friend's houses, I spent a relaxing weekend reading Emma in the Night by Wendy Walker. I love that the kids are old enough to be independent because it means I have more me time. Of course, some days it means more stress but you have to take the good and the bad. Since I love thrillers, this is the perfect way to unwind. This post has been sponsored. This post contains affiliate links, and I will receive compensation if you make a purchase after clicking on my links. One night three years ago, the Tanner sisters disappeared: fifteen-year-old Cass and seventeen-year-old Emma. Three years later, Cass returns, without her sister Emma. Her story is one of kidnapping and betrayal, of a mysterious island where the two were held. But to forensic psychiatrist Dr. Abby Winter, something doesn't add up. Looking deep within this dysfunctional family Dr. Winter uncovers a life where boundaries were violated and a narcissistic parent held sway. And where one sister's return might just be the beginning of the crime. Learn more about the book. Cass and Emma disappear one night and everyone assumes they drowned at the beach. But, the bodies are never found. One night, three years later, Cass returns without Emma. The FBI question her and she reveals that Emma was pregnant and ran away to meet a couple who promise to help her keep her baby. Unfortunately, their motivation wasn't to help at all and the girls were kept prisoners until Cass escapes to get help. Once Cass arrives home, the FBI and forensic psychiatrist are brought in to try to piece together Cass' story and find Emma and her baby. As Cass reveals bits and pieces of what happened while she was gone, you get more and more of a glimpse into her mind and who she is. As the story goes on, little pieces made me wonder if there was more to her story than she was saying. And, I just could not put the book down until I figured out the truth. The entire story is like unraveling a ball of yarn, one inch at a time. You just cannot stop until the very end. And when you get there, the ending is nothing like what you expected. Buy it today. Love Twitter parties? 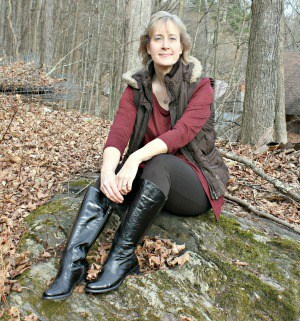 Make sure you stop by the Twitter party with Wendy Walker August 8, Tuesday - RSVP here. One of my readers will win a hard copy of this book. Enter in the Rafflecopter below. Books mystery, suspense, thriller. permalink. I learned that they have some really awesome video trailers to watch! I learned that I really want to read this book! This book looks like one I will love. I read this book as well, also through SheSpeaks, and really, really enjoyed it – I gave it 5/5 stars, which is unusual for me. I never heard of Wendy Walker but this book sounds really good. I am going to have to go find her first book and see if it sounds as good. The website is blocked due to malware. I learned this is her second novel. I did not know there were trailers to view. Those can be helpful at bookclub meetings. Wow, the trailers were so eerie – I’m so curious about what happened! 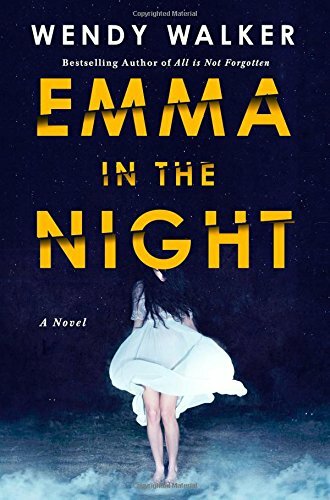 “Emma in the Night” looks like a fascinating read. The intrigue of two sisters and only one comes home – makes for a suspenseful thriller, with lots questions to be answered. I liked the trailers were offered as well to give you more insight to the book. This seems like a good read! I learned that she has written 2 books so far and I can’t wait to check them out! I learned that she has written 2 books. From watching the trailer these look very good. I learned that this book is her second novel. 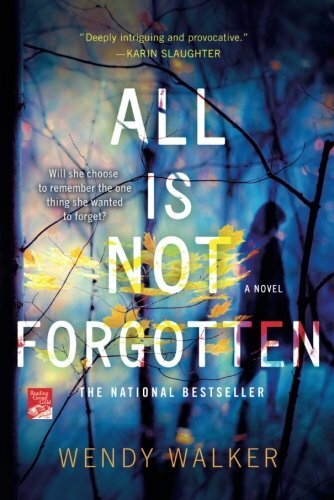 I saw that there are trailers for the book – looks very suspenseful and good! I learned at the Web site that this book is “spellbinding”! I learned that the books are written by Wendy Walker. Their about two sisters that go missing and only one returns home. Can’t wait to read and find out what happened. Some mysteries are best solved by forensic psychiatrists. I learned that there are video trailers to go along with the book. Learned this is her second novel. Has different trailers on it. I learned I can get it on Amazon and I love that… I also want to read the book as well.. I didn’t learn anything more than you’ve told us here about the book, but since you’ve already got me hooked, I am keeping my fingers crossed! The trailers were suspenseful and I learned that I want to know what happened to the sisters before they went missing. Wendy Walker is an attorney and former investment banker.